Gone will be the Summer Fae; the Cold Winter Fae are come! On this night, the Unseelie Court takes over. Far from the streets you know, yet right here beside you, lies a world of enchantment. Come to dance, come to laugh, come to mingle with those of other races: Elves, Mermaids, Faeries, Gnomes... Goblins, Orcs and Trolls are all invited... to play nice. Don't have a Masque? Facepainters standing by. Costumes that please the Faerie Court will be rewarded. 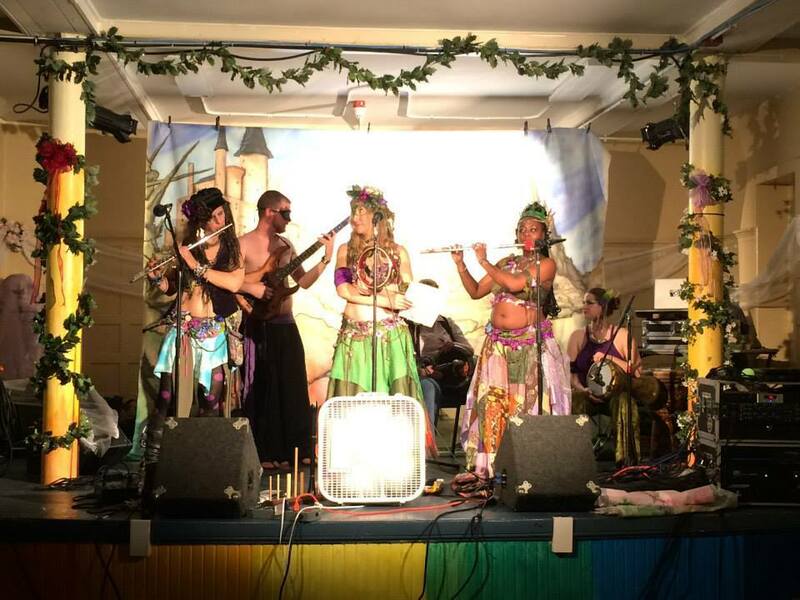 The Fairy Scary Ball, The Baltimore Faerie Faire in April, the Baltimore Faeries' Market in May, and Mythmusica in July are all a part of Baltimore Faerie Faire's gift to fun. 2 Live Bands, Costume Contest, Faerie Court, and more than a dozen Vendors. World Music band Brinjal plays pulsing and lyrical songs from Nations real and Imagined, with a large dose of the exotic rhythms and enchanting melodies of the Middle East. We create our own songs, sometimes improvised on the spot, and are often accompanied by the beautiful dancers of Aubergine. The Big Band Theory of Baltimore is a non-profit jazz band that caters to local communities including Baltimore City. We play for community events, fundraisers, fairs, chestnut roasts and faeries. Our music features a wide variety of song styles from artists like Glenn Miller and Duke Ellington, Classic Rock from Chicago, Earth Wind and Fire, Stevie Wonder, and much more.